Duggie was a local legend and one of the best centres around. He could time a pass to perfection. Duggie used to do an outside swerve, draw the opposing winger in, and slip the ball to his wing man at the last moment. He was called Mr Muscles by Coach Jim Sullivan, Greenall tipped the scales at barely 11 and a half stones and was 5 feet 9 inches tall, yet he is best remembered for his amazing tackling. Despite his reputation as a bit of a tough customer, it was significant that Greenall was rarely sent off in his career. 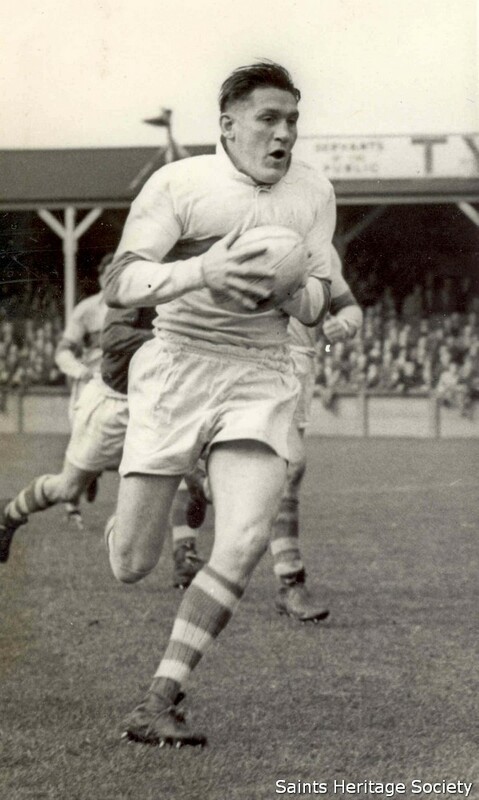 Greenall played in all three Tests against the Kiwis in 1951 and skippered the Saints in the 1952/53 campaign, when the club joined the rugby league elite. Sully’s Boys won the Lancashire League title, were runners up in the Lancashire Cup Final and Challenge Cup and went on to lift the Championship after a fabulous victory over Halifax at Maine Road, Manchester. Duggie’s reputation certainly preceded him on most occasions. When Greenall arrived Down Under with the 1954 Great Britain team, Australian Government officials urged the tour management not to select him. 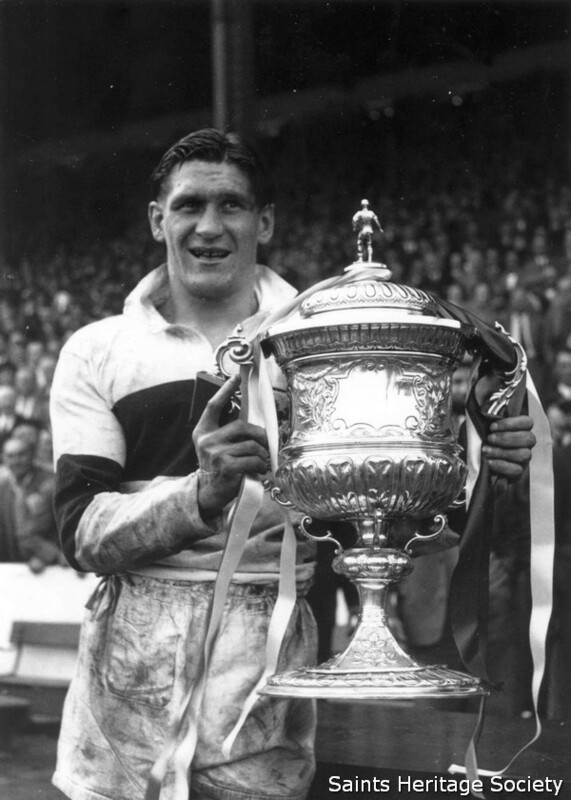 Greenall captained the team in the 1953 Lancashire Cup Final success over Wigan and was a member of the side that brought the Challenge Cup back to St.Helens for the first time, after defeating Halifax 13-2 in 1956. He was a key member of the team that lifted the Championship in 1959 after one of the greatest-ever finals, the 44-22 victory over Hunslet at Odsal Stadium. On the wing that day was the quicksilver South African Tom Van Vollenhoven, who scored a fantastic hat-trick and owed much of his early success to the guile and experience of Duggie Greenall as his centre. Greenall made 487 appearances for St.Helens and amassed175 tries for the club. He had become known as one of the most injured men in Rugby League with an almost endless list of broken bones. Duggie took the knocks, but certainly dished out a few in his time.